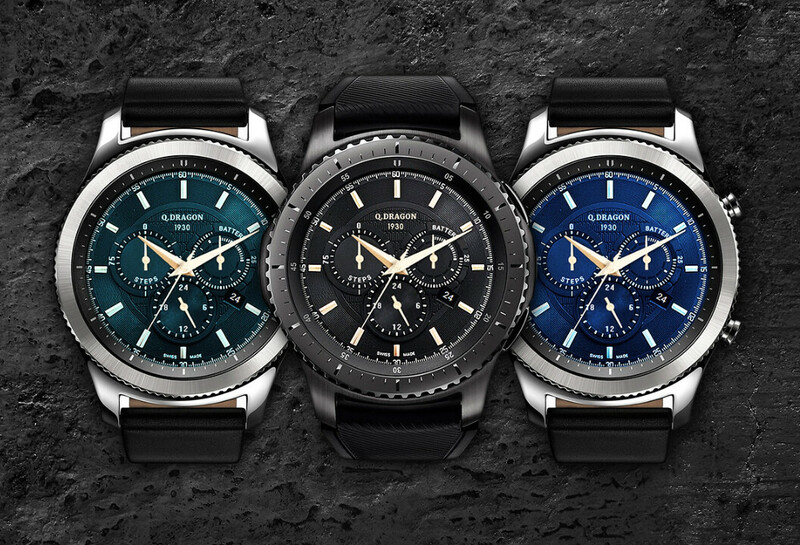 Samsung's Gear S series turned out to be quite successful despite running on Sammy's home-brewed Tizen OS and not kicking off Google's Android Wear. Perhaps surprisingly, Google's own wearable OS doesn't seem to be enjoying as much popularity as Samsung's is. 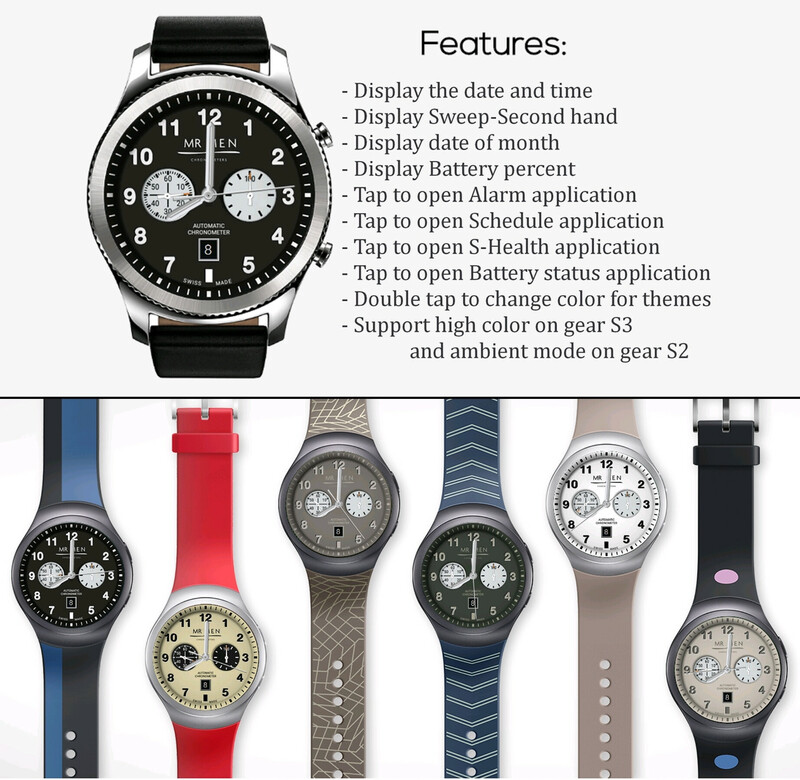 So, naturally, you can expect to find a lot of 3rd party apps for the Gear S2, Gear S3, and Gear Sport in the Galaxy Apps store. As well as tons and tons of watch faces. Some good, some bad... But you know, it's mostly in the eye of the beholder. Still, it's a daunting list to sift through. 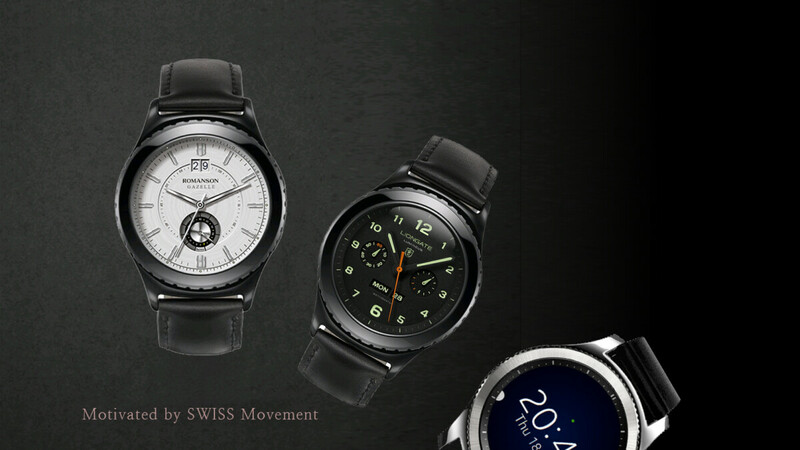 So, we thought we'd give you a list of 30 pretty good watch faces to get you started on your Gear smartwatch journey. 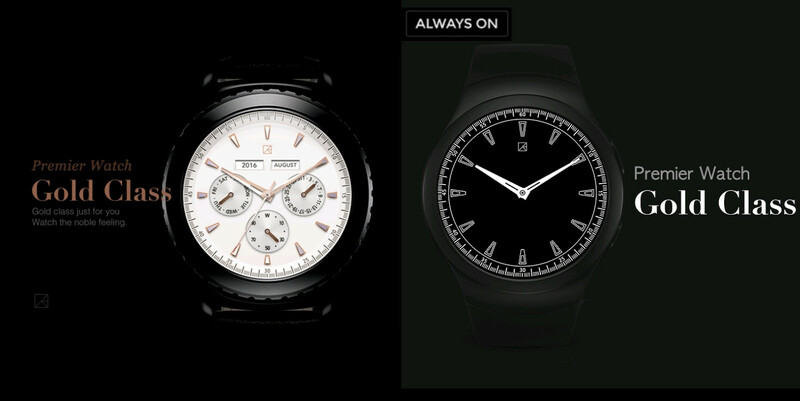 This is a sleek and simplistic watchface with a dark background to maximise battery life. It shows the time, day of the week, and battery level, while its AOD mode defaults to time only. 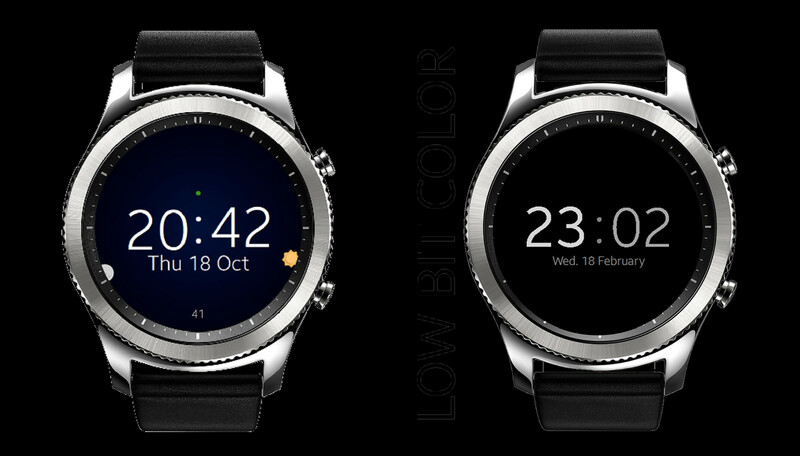 Another classic-looking watchface with a dark bacground, the Monostone will show you a numeric date, day of the week, and battery level alongside the time. AOD mode, again, shows clock only. Going with a classic look against a light beige background, this face will show you the time with roman numerals, but also add widgets for battery percentage and day-night cycle. 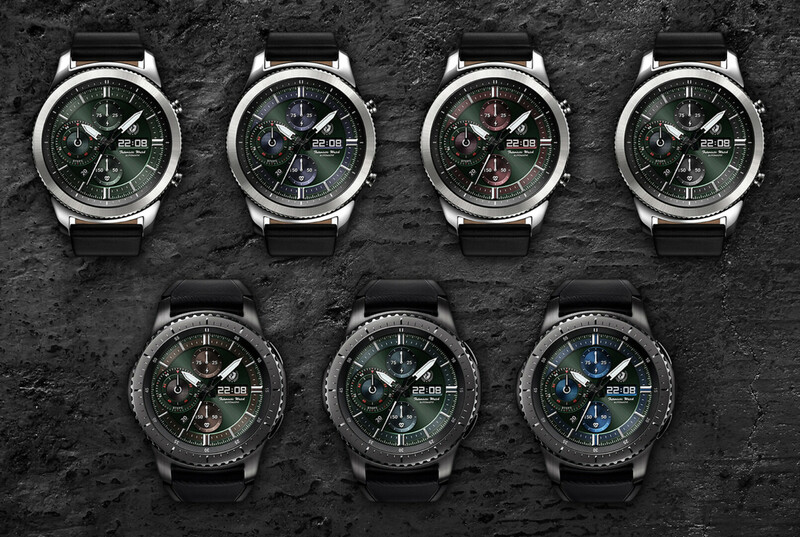 If you happen to have a Gold or Rose Gold Gear S3, you may want to look at some watch faces that also rock that sort of shine. The Gold Class offers a lot of information at a glance, yet looks relatively clean. 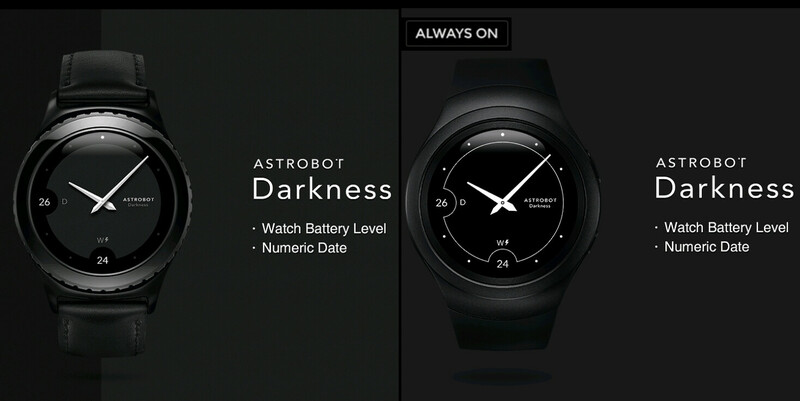 Another minimalistic and dark watchface, which still manages to squeeze battery level and numeric date in there. The cool thing is that it will show you those widgets even in AOD mode. A bit bolder, with contrasting colors and thick hour and minute hands. The widgets provided will track battery level, seconds, and date. 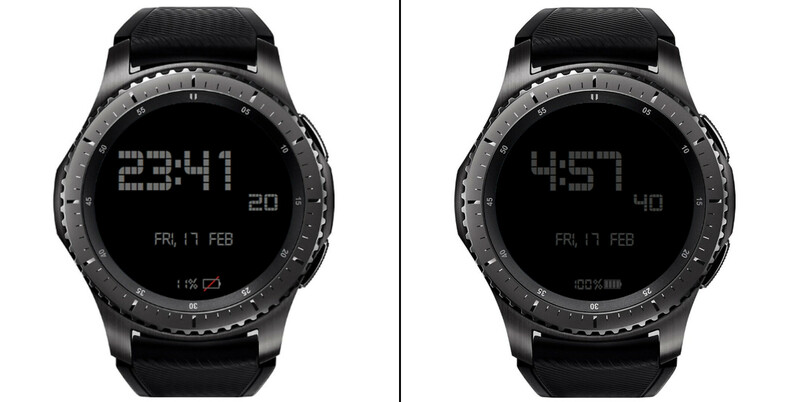 The AOD on the Gear S3 looks a lot like the actual watchface, creating the illusion of the watch never turning off. This face simulates the good old "glow in the dark" watches, with its green hands and hour numbers, You get battery level, day of the week, and numeric date info as well. The AOD mode only stick with time, though. With a copper tint throughout its interface, this watchface could make a good match for the gold versions of the Gear S3. 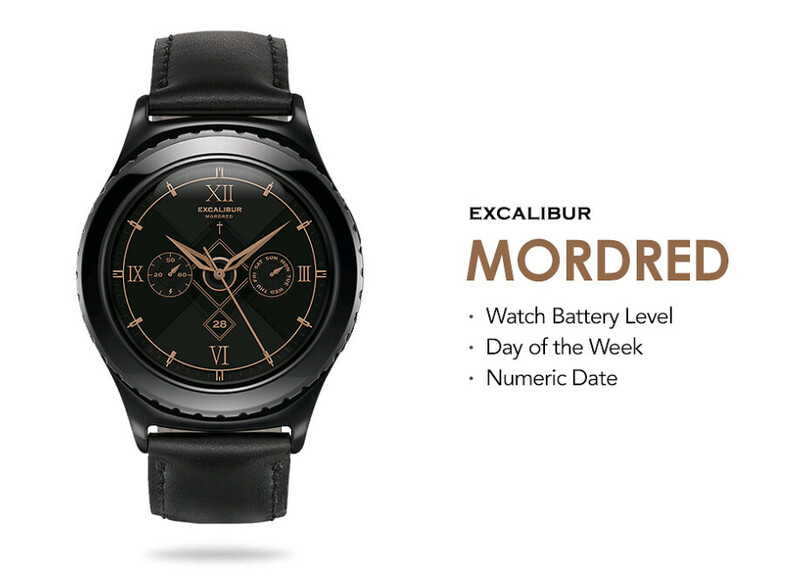 Another copper-tinted watchface on a dark background to match your gold-colored Gear S3. It's a shame its AOD mode is rather bare bones. Big, bold, and easy to see with no complications or widgets save for a small window that shows you the numerical date. You can choose between a dark gray or completely black background by double-tapping on the face. A watchface that shows you a lot but manages to avoid senseless clutter. The Moma will show you the time in both digital and analog, the battery level, step count and step goal, distance traveled, and a numeric date. It even displays all of its widgets in AOD mode! A pretty solid watchface that shows you everything at a glance. The bright hands are contrasted against a dark bacgrounds and four widgets show battery level, day, date, month, and a chronograph. 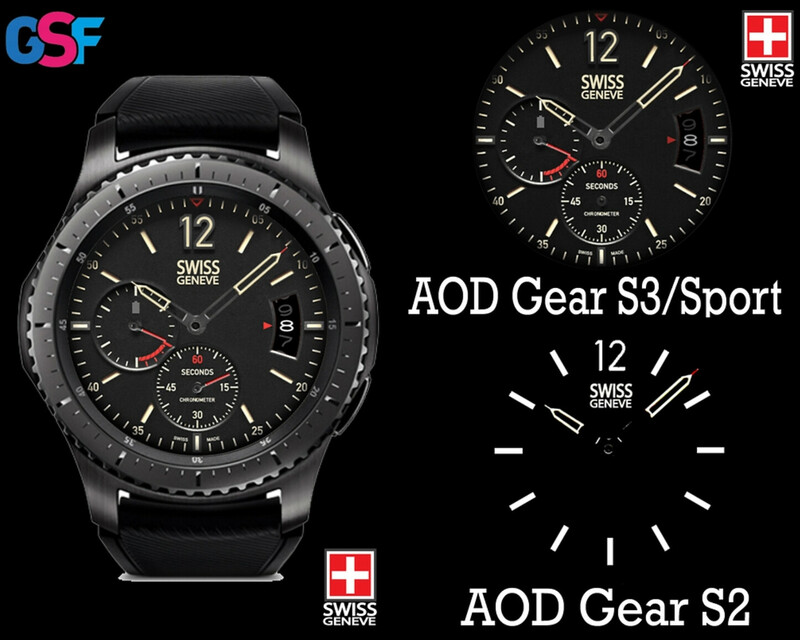 The Gear S3 gets an AOD mode which keeps all its widgets. Want some color in there? The Stealth is another predominantly dark watchface, but it offers bold accents with a color that you can pick. Just double-tap on the face to cycle through them. Another classic look with a couple of useful widgets. We liked this watchface for its choice of color themes — double-tap on the face to circle through lots of style options! This face has a bit more going on, with a bold and thick interface, crowded widgets, and faux light refractions. But somehow, it manages to pull it off in a good-looking package that also lets you choose between 7 different accent colors. The matching AOD mode is the cherry on top! A bit sleeker, with elegant arms and gold accents against a white backdrop, this may be a good pick for your Gear S3 in Rose Gold. 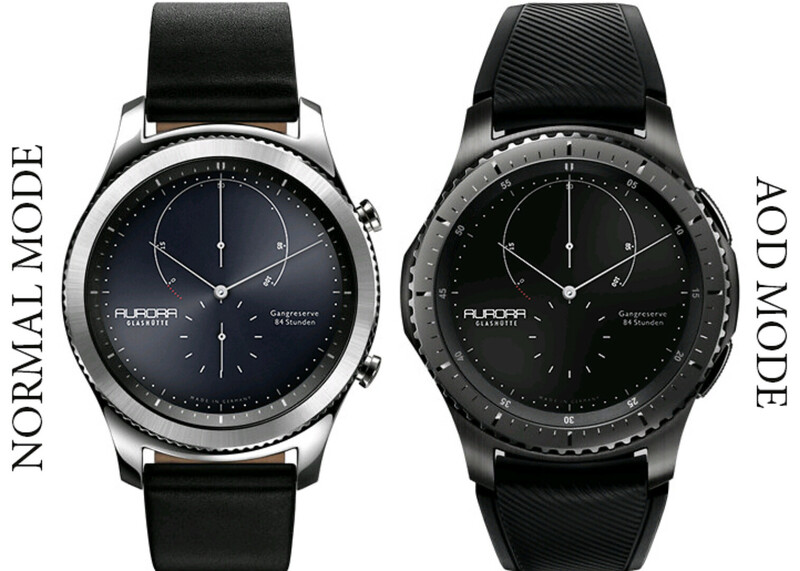 In AOD mode, the background becomes black to ensure battery savings. A very simple digital clock that will also show you the movement of the Sun and the Moon as time passes. 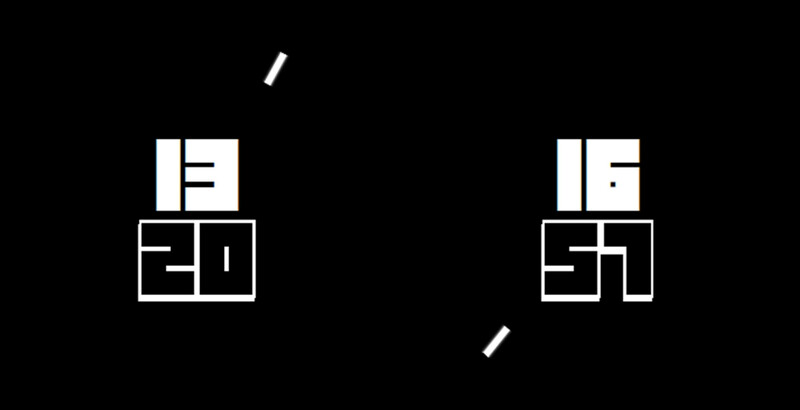 AOD mode defaults to a simple white-on-black digital clock. 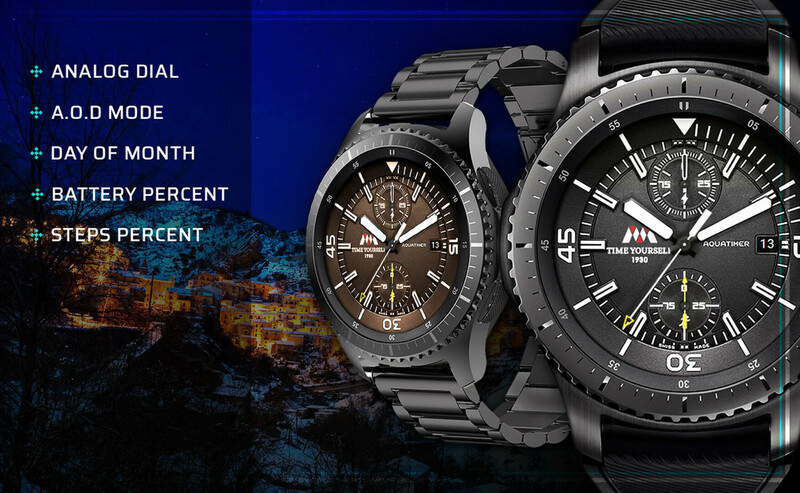 This is a rather heavy face that comes with 5 complications — battery, date, month, a 24 hr hand, and a mini face that always shows you the current GMT time — and still manages to look stylish. To top it off, you can shuffle through 6 color options to make it suit your style. You can download a 3-day trial version before committing to a purchase, too. 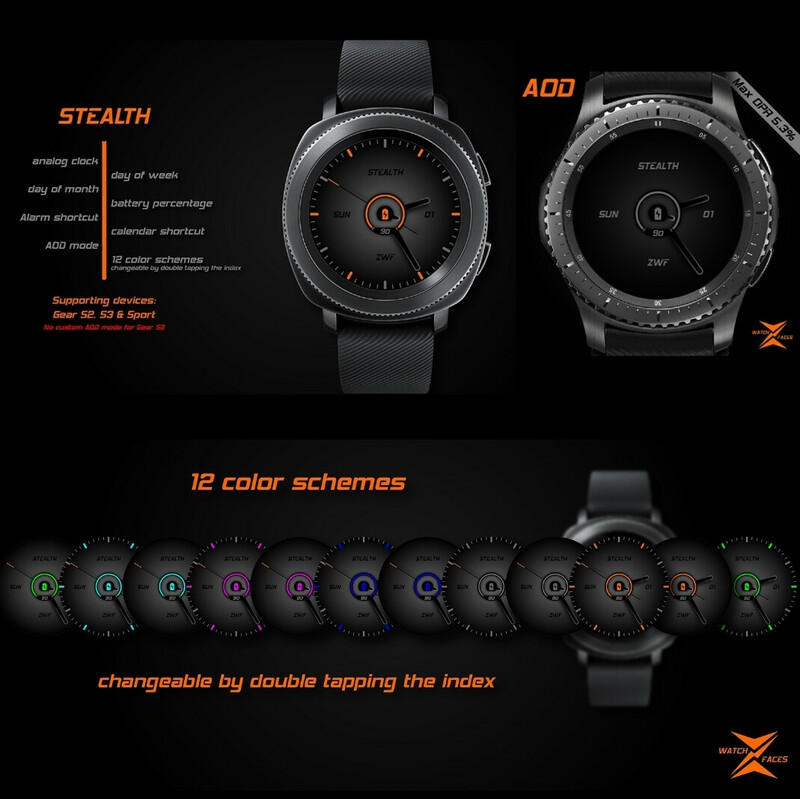 A sporty-looking, bold watchface with 7 colors to pick from and four different widgets that show you S Health data, numeric date, and the third one is customizable. A really elegant-looking watchface on a white background. 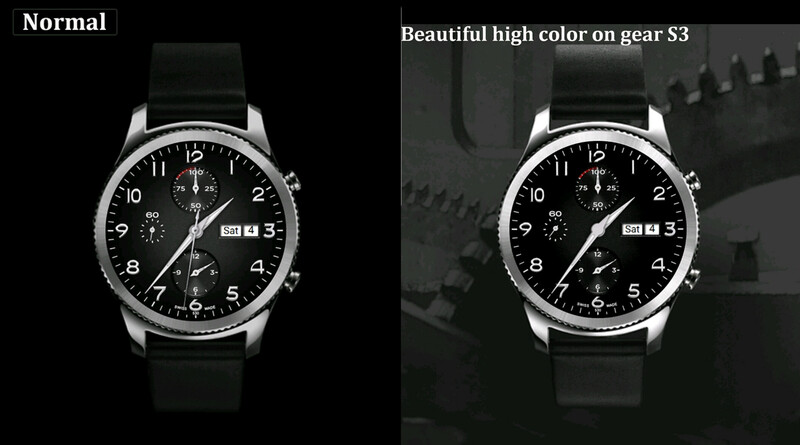 Its AOD matches in shape, though removes colors to save battery. Well, that name's a mouthful. You get a bold-looking watchface with 7 different color backdrops to pick from. Its AOD retains the overall look, just removes the background. This face comes with bold, gold-tinted arrows and 3 background colors to pick from. You still get to see the gold bling in AOD mode as well as the widgets, which show you battery level, date, and s health info. 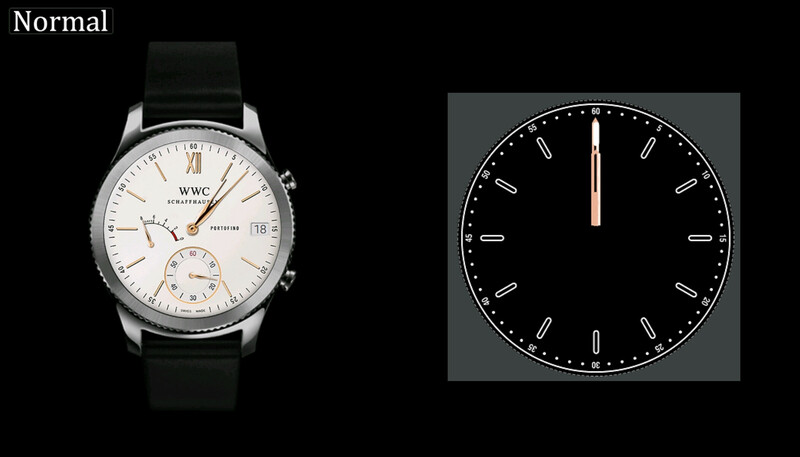 A unique look with slim, minimalistic arms and markings and just two widgets — one for battery level and one as a chronometer. There are also faux relections to top it off. The Lifesum watchface has the app's theme running through it complete with a cute apple mascot that is there to remind you what you should be doing in the different parts of the day. 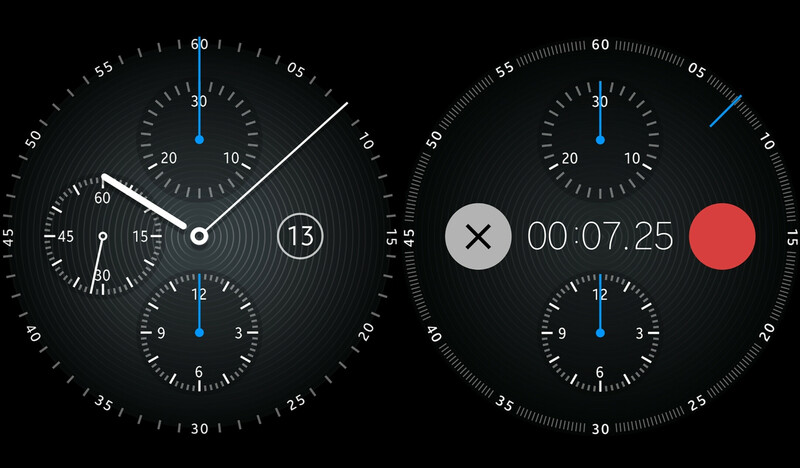 A very simple and free digital watchface that shows you the time with big, bold numbers. Looks pretty much identical in AOD mode. 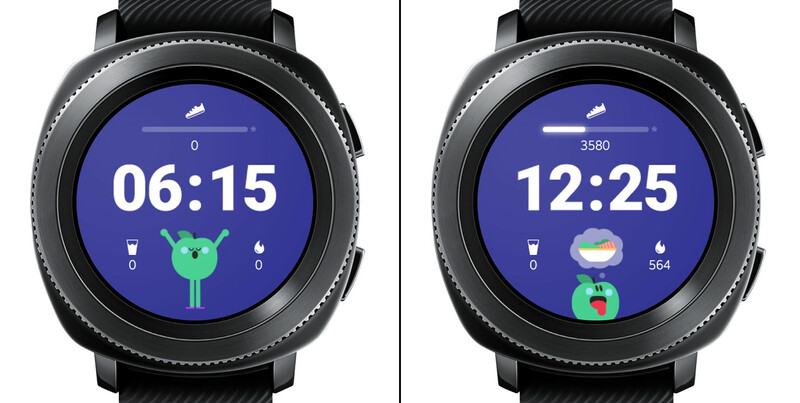 This cool and rather simple watchface has a cool feature — tapping on its top or bottom widget instantly starts up a chronograph, which transforms the watchface and adds a pause/play button. Classic-looking, stylish, comes in two colors. What more does one need? A very basic digital clock face with battery, date, and S Health widgets. Good for workouts — all the info you need is available at a glance and the backdrop is completely black, saving power. 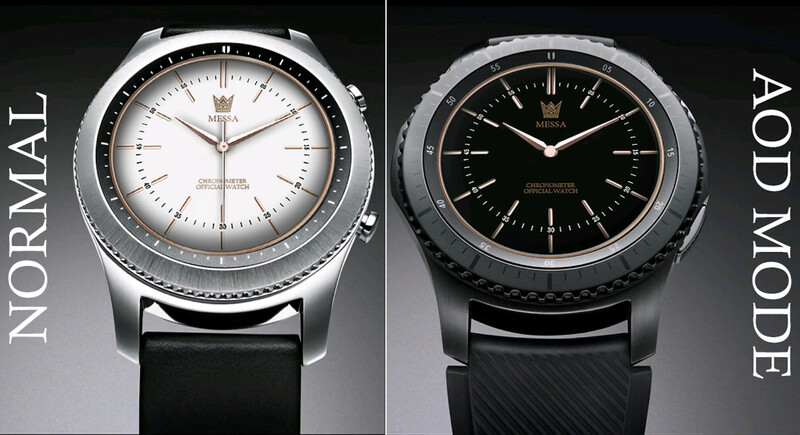 We couldn't resist the call-back look of an old digital watch. Its dark theme will conserve power, while the big, bold numbers will still let you know what time it is at a glance from whatever angle. Funny that i don't find these as the best clock face designs. 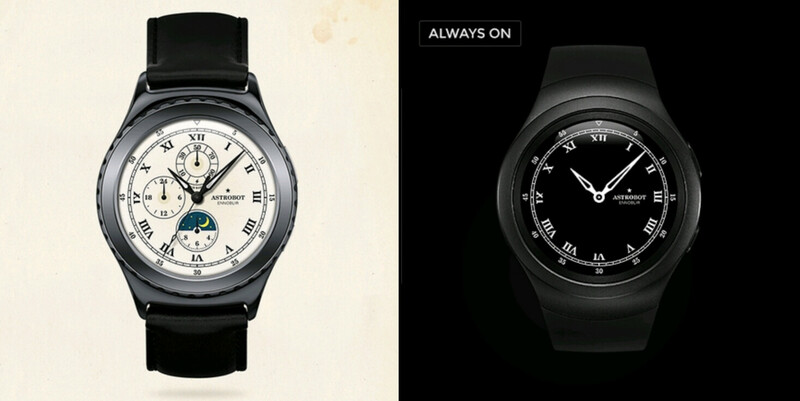 I love the round shape of my S3 and Gear Sport, however I'm inclined to digital than classic looking analog. I suggest to check out Confluence Track, or any of Mateo Dini's designs. You're spot on Mateo Dini's watchfaces are on point. 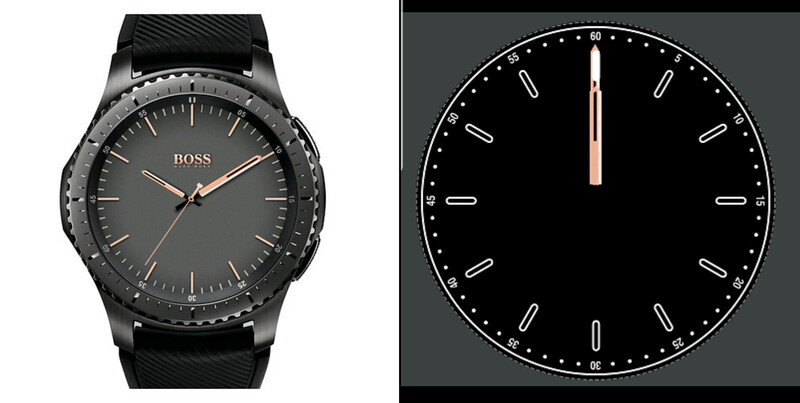 Do a search in the Galaxy Gear Apps Store for JMK32DIGITAL for some great new watchfaces too! Stealth face. Genius. For when you have a watch but don't want to be able to tell the time. 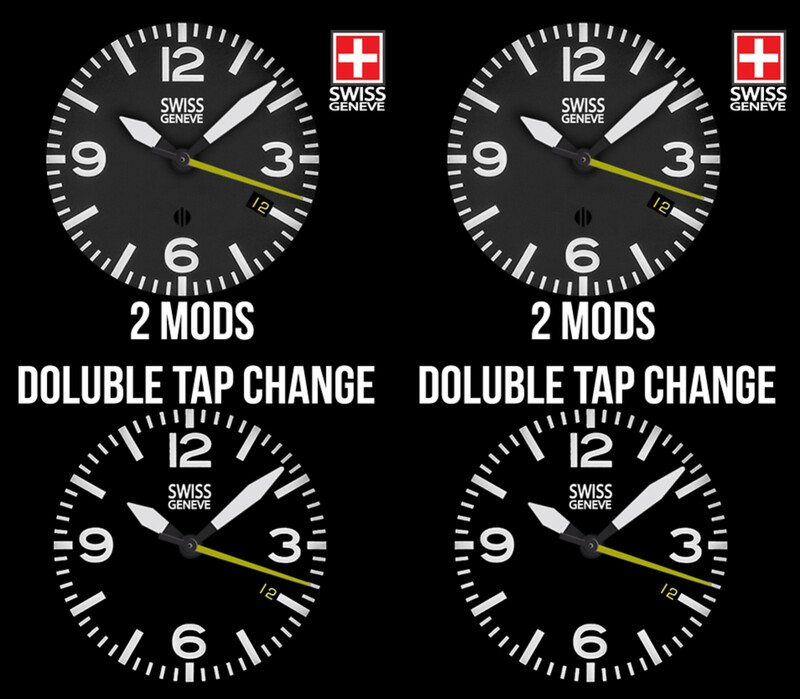 There are so many great watch faces in the Gear Store it is hard to choose. Shame Apple watch owners have such a tiny choice and poor choices at that. It is one reason why the Gear is a far better watch.